The important things in a marriage. 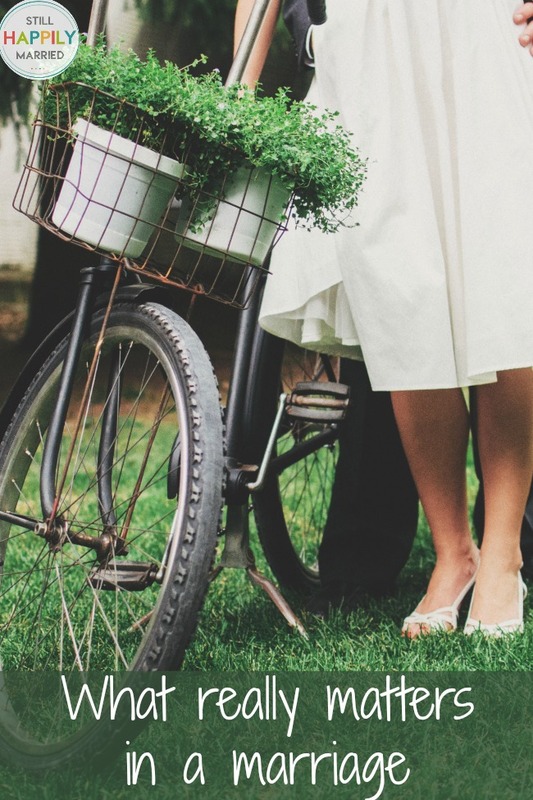 There are some important things in marriage… and then some things that just don’t matter. Shopping at the store last week, I saw it… the wedding magazine. There was a beautiful, beaming bride splashed across the cover with articles about wedding attire and creating the happily ever after that would be “guaranteed” if you just spent a little bit extra on the fancy centerpieces. I went home, and went about my day…but that cover stuck with me. I’m no expert on marriage, but I did know for sure that fancier centerpieces at my wedding wouldn’t make my marriage any stronger. 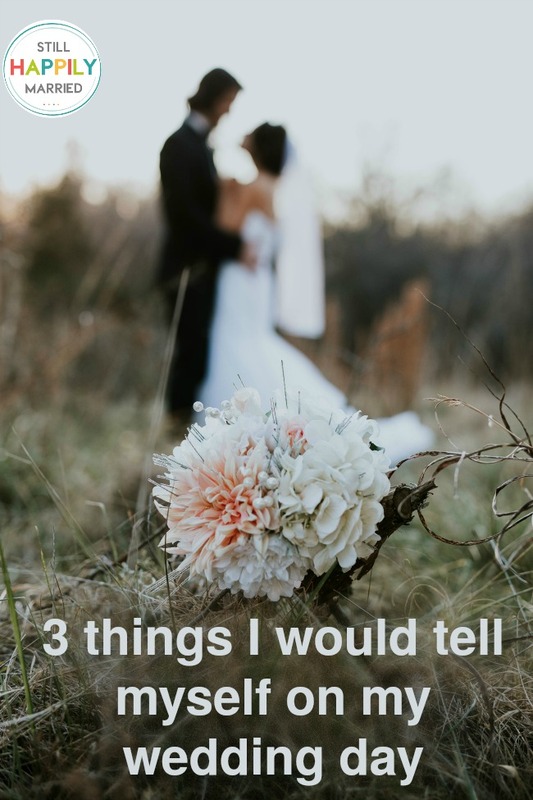 If I could go back and have a sit-down with myself on the morning of my wedding, I would make sure I shared with my starry-eyed-self the things that I wish I had known then. There’s nothing that will take the stress out of a situation like laughter. Be funny together. Play. Laugh a lot and have so many inside jokes that you can look at each other across a room and know exactly what the other is thinking. Laughter will build bonds and strengthen your relationship. 2. Don’t forget to date. There are going to be times, especially after you have children, that dating gets put on the back burner. Don’t let it. Make it a priority to spend time together – even if it’s just watching a movie on the sofa with a bowl of popcorn on Saturday night. If you can get out of the house alone together – even better. 3. Your needs don’t trump his. Remember number three? You’re part of a team and being part of a team means compromise and working together. There are going to be times when you want to be selfish and demand you get your way, but try to keep those at a minimum. One of the hardest parts of marriage is learning that your needs aren’t more important than his. Your needs are both important. 4. Words spoken (or texted) cannot be taken back. Think before you text or say something in the heat of the moment. Once you say or text it, you can’t take it back and it takes a lot of work to repair those words said in anger. Make an agreement with one another that you’ll always try to stay on topic and not make disagreements about things become disagreements about each other. There is a difference and the sooner you learn it, the stronger your marriage will be. Marriage is a give and take. It is a friendship. It is a lasting bond… take care of it.